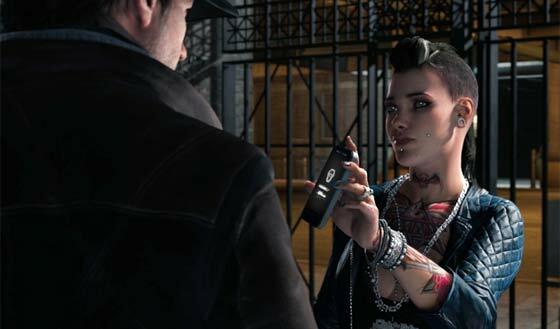 A new trailer video has been released featuring gameplay from Ubisoft’s Watch Dogs. The video shows six minutes of this detailed and graphically stunning new game. Interestingly the demo was recorded on “a PC of PlayStation 4-level power” and played with an Xbox360 controller according to VG247. The Verge thinks that its great graphics are probably heavily influenced by its design base level targeting the PS4 on which it will be one of the launch titles. This Watch Dogs in-game video (available in 720p) shows the main character Aiden Pearce in action in a variety of scenarios. The gameplay, set in present day Chicago, integrates hacking technology via various devices like smartphones, surveillance and wireless systems etc. This technology is used to find out information about other game characters and suggest missions for you to do; it also allows you to interact with in-game tech and to infiltrate systems. Your character can effectively sneak around and dispatch foes using silent kill methods but he can also get his hands on plenty of guns. Later in the demo Aiden Pearce gets accused of a murder and is chased by the police whom he manages to successfully evade. On Friday gaming magazine Polygon published an in-depth interview with the senior producer Dominic Guay. If you are interested in Watch Dogs there is a lot more information about the game and the background to the game in there. 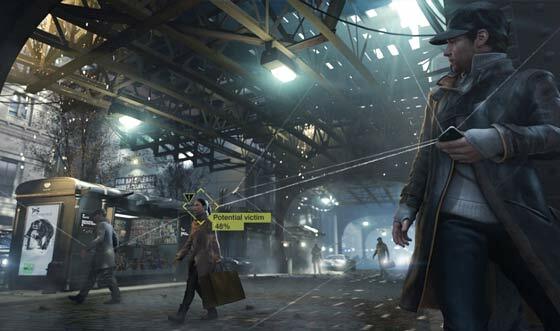 Watch Dogs will be one of the launch titles on the PlayStation 4 and will also be coming to PC, Xbox 360, PlayStation 3 and Wii U. VG247 also expects it to be available on the next Xbox. As for launch dates it is expected that current generation consoles and PC will get this game on 19th November. It's not really shocking that a ‘next gen’ console won't offer substantially greater graphics now is it? I mean a graphics card from 5 years ago doesn't really offer substantially worse graphics than one of today. Back in ‘95, going from virtually no polygons, to a very few on my 16mb Voodoo2 was amazing, night and day difference! Nowadays doubling the number of polygons has very little effect, because we’ve hit a point of diminishing returns. This is why I think Sony have gone for a low price point for the PS4, they have too! Last time they charged a premium because it could play blurays, now their only hope is to be a better ‘media device’. If they are smart they would support music streaming and video streaming subscription services out of the box, its sony however, so they won't. Microsoft will be heavily pushing this with their new xbox, making the device really the center hub, the important part of the TV, and boy howdy will they cram netflix and xbox music down your throat. Hopefully this means sony will have just paid attention to getting a lot of great titles ready for launch. But I doubt it, as this game isn't going to be a ps4 exclusive is it? Totally agree! People seem to get so hyped up about graphics, especially the console crowd. But what I wanted to say was that this gameplay footage can't be nearly good as a PC because it's running on 720p. And let's be honest a lot of console players have no clue what they're talking about when it comes to hardware. Like 8GB of GDDr5 is supposed to push graphics more than the GPU itself XD, not to say it wont help. I feel ironically that PC has won the games platform wars, why you might ask? Because the PS4 according to design details IS a PC with a few motherboard tweaks and I'm willing to bet that the new XBOX is no different. I've never really liked them since I got a PC mainly due to the control methods and now these days due to the lack of high resolution. I've never really enjoyed up scaling as way around this lacking of power. I wonder if they will finally make the transition to 1080p for this generations games. Must admit the engine / detail doesn't look that advanced to me, the characters still have a squared feel about them. PS4 is going to have 4k support so will surpass 1080p - however you can bet in true Sony rip off fashion it wont be for all games, mainly TV/Bluray viewing. Whether xBox will include 4K will be revealed tomorrow. I personally think they won't just so that they can keep the price lower than PS4.